It was, quite unexpectedly, love at first sight. 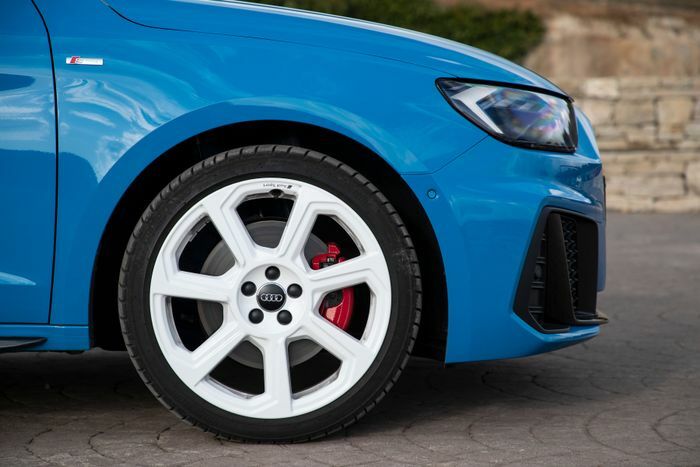 With two rows of shiny new Audi A1s before me, I made a beeline for the one with solid blue paint and white wheels. What a glorious specimen it was, looking like something straight out of the 1990s, especially with the chequered fabric seats on the inside. As luck would have it, this fabulously-specced A1 was the range-topping ‘40’ S Line Competition version. On paper, certainly, it sounds quite interesting. It has the same detuned ‘EA888’ engine as the VW Polo GTI, pumping out a handy 197bhp and 236lb ft of torque. 0-62mph takes just 6.5 seconds. This is one of those cars, however, that show just how meaningless performance stats can be. 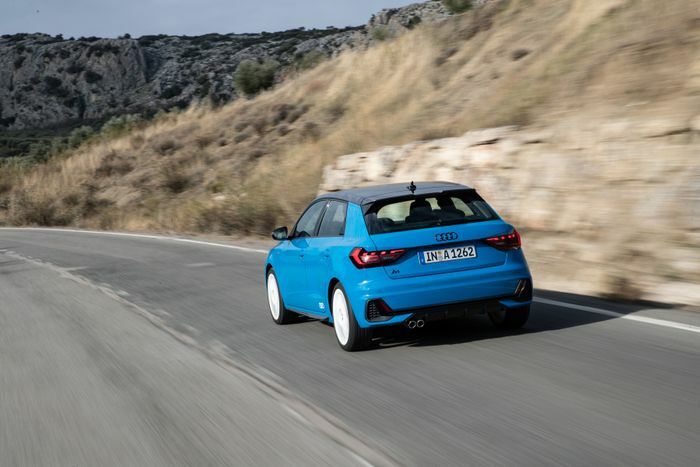 Despite what the numbers say, it simply isn’t a hot hatch. The Polo GTI with which it shares a platform and engine is already far from the most exciting car in the segment, but somehow what little joy can be had in driving that car has been almost completely sucked out the 2.0-litre A1. 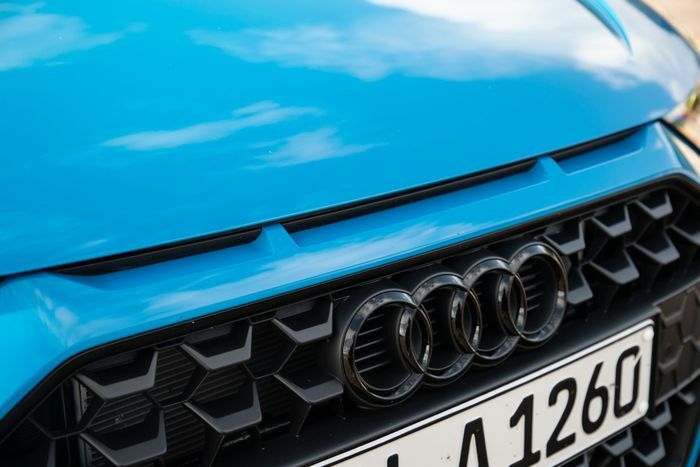 Under the A1 is a perfectly capable chassis that resists understeer commendably, the turn-in is reasonably sharp and the car doesn’t roll a whole lot, but that doesn’t stop the drive being just a little joyless. Perhaps it’s down to the power delivery, maybe it’s because the steering feels even less natural and satisfying, or it could be a combination of both and other factors. The knowledge that there won’t be a manual version doesn’t help, nor does the fact the S Tronic twin-clutch gearbox automatically shifts up for you at the redline, even when you’re in what’s apparently supposed to be the manual mode. After immediately falling for that wonderfully-specced exterior, which perfectly compliments the aggressive new look of the car - this all comes as quite a disappointment. 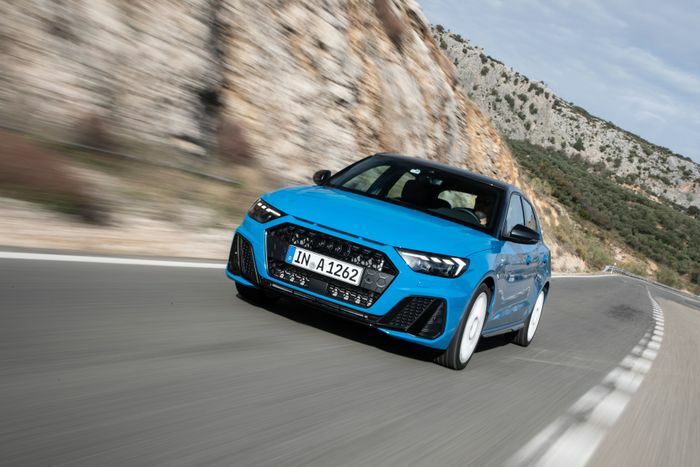 There’s also still a question mark over whether Audi will do an S1 - if this remains the fastest version of the supermini, it’ll be a crying shame. It’s not going to be worth your while paying the expected £25,000 + asking price for the S Line Comp, particularly when its sportier setup makes for a firm ride. 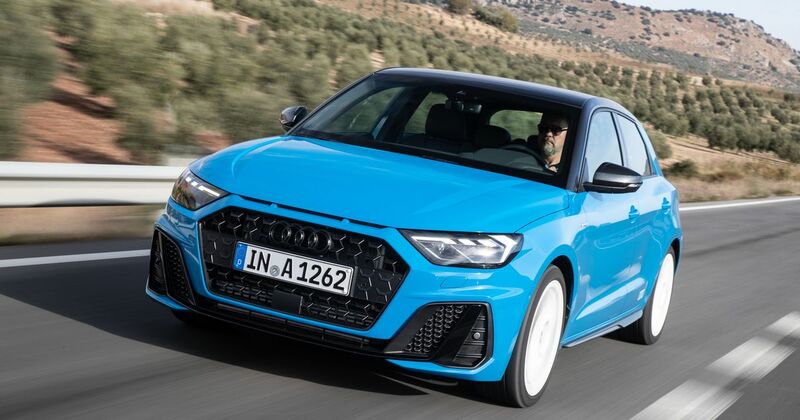 The A1 is much more successful as a supermini biffabout, with the smooth, refined 1.5-litre, ‘35’ 148bhp mid-range engine being a much better fit. The ‘30’ (yes, we’re getting sick of the new numbering system already) 115bhp 1.0-litre inline-three will be potent enough for most, meanwhile, and has the amusing sideshow of a surprisingly loud wastegate. That’s not to say the models further down the pecking order are perfect. None of the cars we drove rode quite as well as hoped, and you have to put up with quite a bit of road noise droning through the cabin. Then there’s the interior quality: it’s just not the step up from the related Polo and Seat Ibiza that it should be, with the scratchy plastic door cards being on the top of our list of complaints. 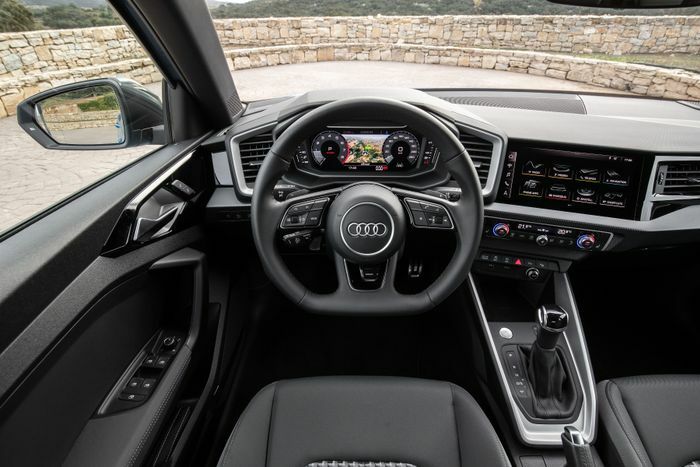 The interior design is nicely striking, though, and we’re digging the infotainment screen, which hasn’t gone for the same am I pressing it hard enough yet haptic feedback setup of larger Audis. There are plenty of options to spruce things up both on the inside and outside: from contrasting roofs to coloured bits of interior trim, you won’t be wanting for choice. In fact, there are over a million different combinations. I’m just not sure any can be the ‘Turbo Blue’ paint and white wheels get-up of the S Line Competition car you see here. This gives the A1 a fighting chance against the highly customisable Mini, because those four rings aren’t quite enough on their own. But if that badge isn’t a must-have for you, it’s probably worth sticking with the cheaper Polo.